Come Christkindlmarkts With Us @ People’s Gas Holiday Market! We’re getting extra hygge with it for the Holidays this year! 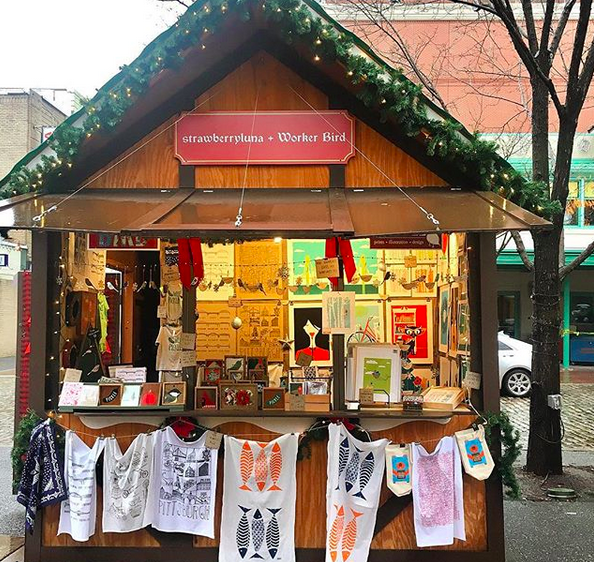 Come Downtown and join in the festivities all season long with 3 local, handmade maker/artists (ourselves Allison & Craig here at strawberryluna, our friend Kim Fox of Worker Bird and Kirsten Lowe-Rebel of KLoRebel) as we pop-up our 1st ever Holiday Shop in beautiful Market Square through the Holidays! 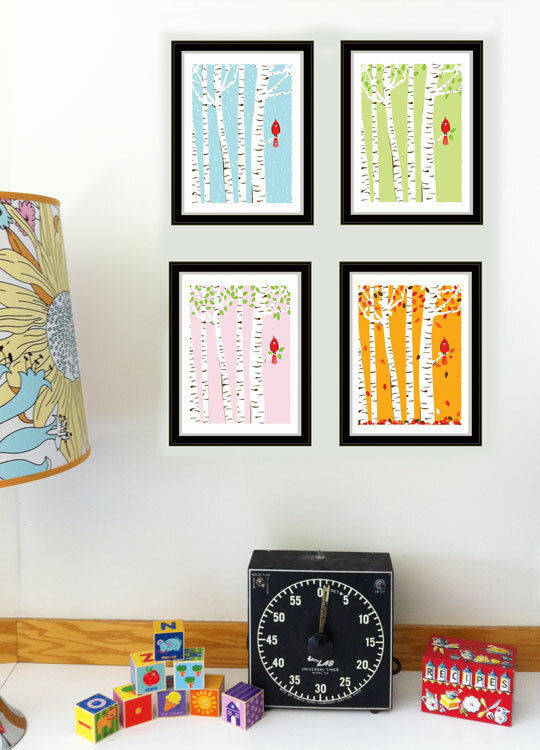 We are 3 Pittsburgh artists, and a part of the new Monmade craft entrepreneurial trade group here in Pittsburgh, and are sharing an adorable Chalet for the duration of the People’s Gas Holiday Market. We’ll be nestled with many other vendors in Market Square in our Chalet Shop 7 days a week through 12/23/17 (yes, for 6 weeks yep!) offering our hand crafted goods, all made right here in Western, PA by our hands. It’s pretty special yinz. Monmade is a trade group of regional craft businesses, maker enterprises, design/build shops, and entrepreneurial artists. Monmade Producers use traditional handwork processes and manufacturing technologies to transform raw and reclaimed materials into products that have utility, durability, and good design. 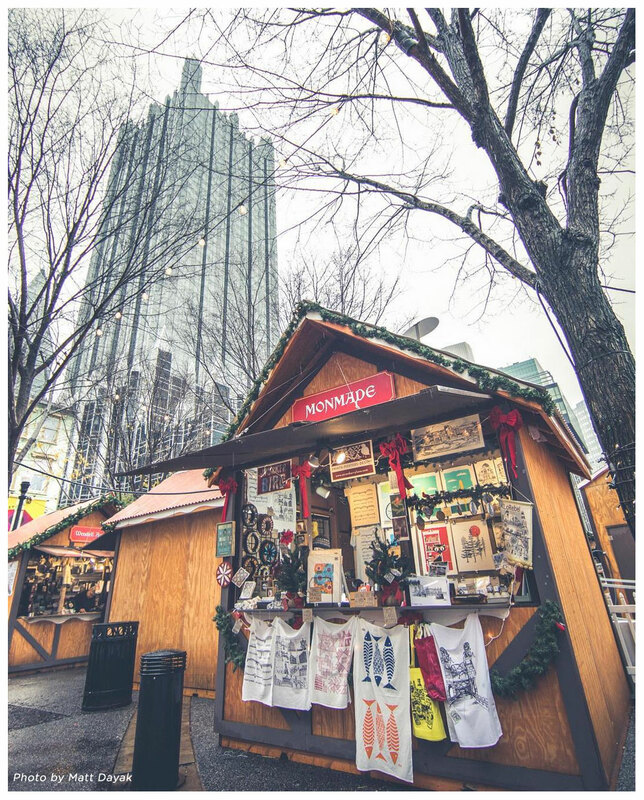 See our Chalet Shop below (photo by the talented Matt Dayak) and come find us in Market Square through 12/23! 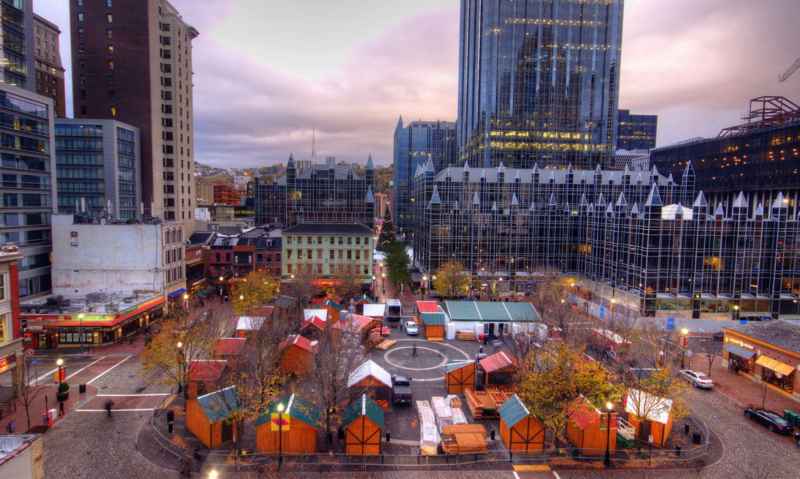 Inspired by the original German Christkindlmarkts (or “Christmas Market”), the Peoples Gas Holiday Market brings a cherished European tradition to Pittsburgh with an international flair, a touch of local charm, and a pinch of sugar, spice, and everything nice. From Friday, November 17th – Saturday, December 23rd, drop on by Market Square in the heart of downtown Pittsburgh to see for yourself! As you weave through the Alpine-style wooden chalets, brimming with high quality gifts, you’ll experience a one-of-a-kind holiday shopping experience. The Market features 35 vendors of unique gifts that can’t be found anywhere else in Pittsburgh. The Market will be open daily (except for Thanksgiving) through Saturday, December 23. To see the complete list of vendors, click here. Pittsburgh Today Live stopped by and chatted with us, here’s a fun little piece on our Chalet here! This year, the Holiday Market will showcase some fantastic local talent with live performances. 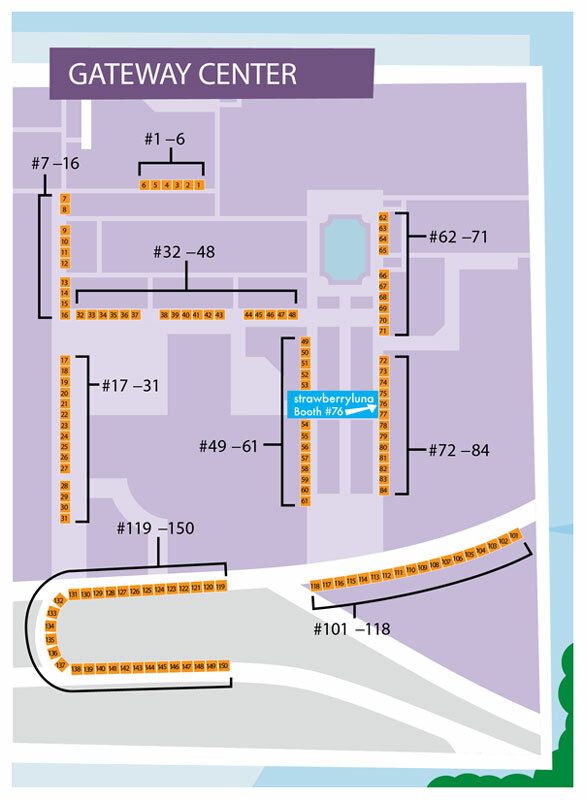 And of course, be sure to visit Santa in his Downtown Pittsburgh home, right in the heart of the Holiday Market. By making a donation to the Greater Pittsburgh Community Food Bank (suggested $5), you will receive a complimentary photo with Santa! With a twinkle of lights, a few flurries in the air, and a warm drink in your hands, who knows…the Holiday Market might become a bit magical, if you just believe. Mark your calendars now! The Holiday Market will open on November 17th for Light Up Night, and will remain open until December 23rd. Friday + Saturday: 11:00 a.m.. – 9:30 p.m.
Black Friday & Cyber Monday Small Business Weekend Deals! Hello! 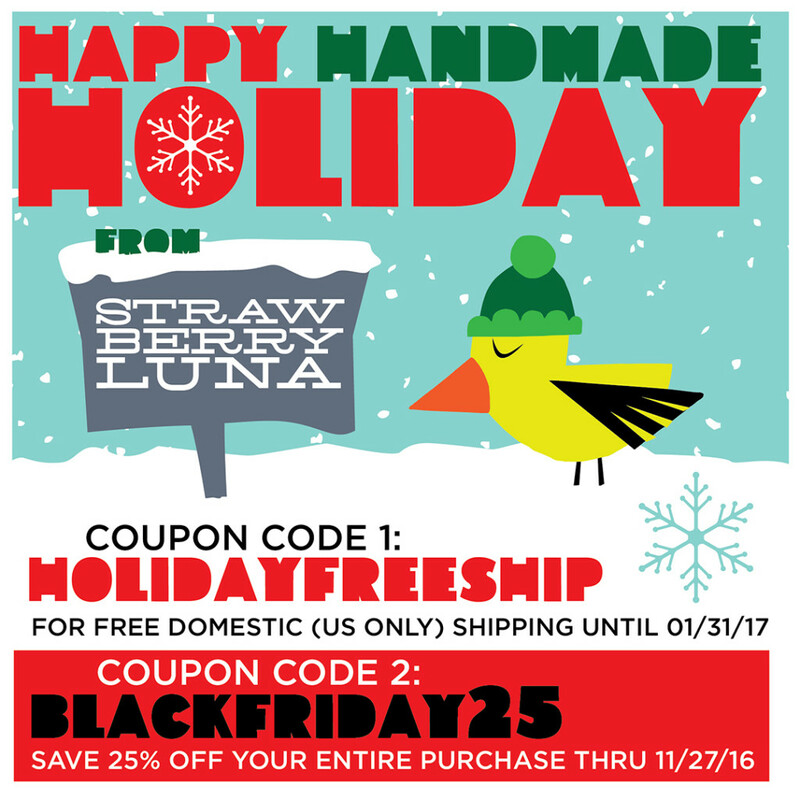 A quick and heartfelt word from us on this Black Friday / Small Business Saturday / Cyber Monday holiday gift buying weekend. 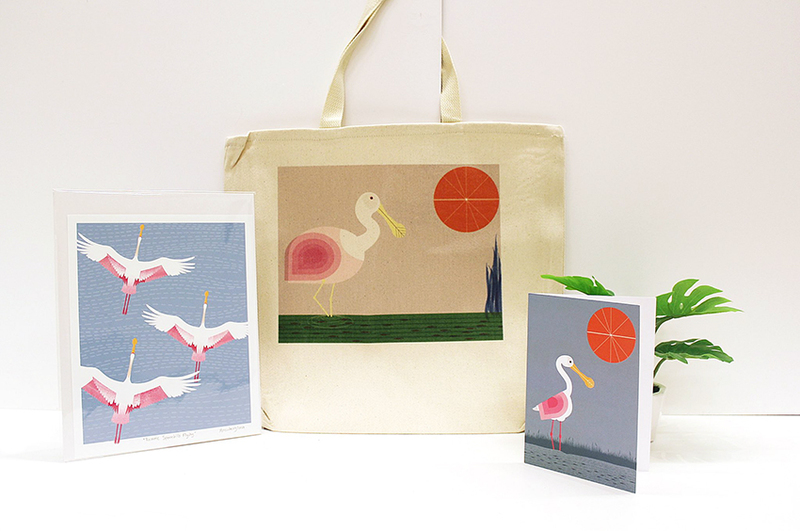 We are just a two-person studio and every single purchase is incredibly meaningful to us. Each & every single one. We’ve met many thousands of lovely people in person at shows and those encounters are warm and wonderful. (We love to nerd out about art!) But it’s not always as simple to have that same connection with an online transaction. We know, we get it. So we just wanted to take a moment to say how much it means to us that with every purchase, someone is living with our work in their homes, offices, or even school rooms. 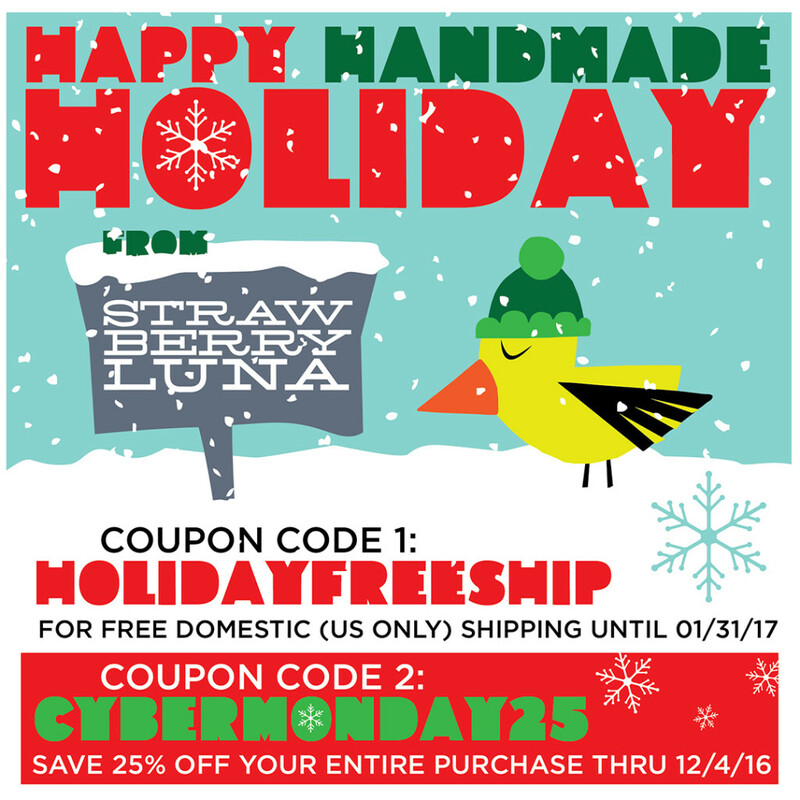 As a big thanks, we love to do some Holiday Sales & Deals, so here you go friends! Feel free to use any of these coupon codes on our Bigcartel Shop here or in our Etsy Shop here. Here we go Holidays! Crafty, Maker, Handmade awesomeness times are upon us. Let’s all celebrate what’s good and positive together this season. In that spirit, we hope that you can join us on Saturday November 19th for the lovely Crafty Supermarket in Cincinnati, OH. And yep, this show is just ONE day only! And Crafty Supermarket is FREE to attend. Hooray! 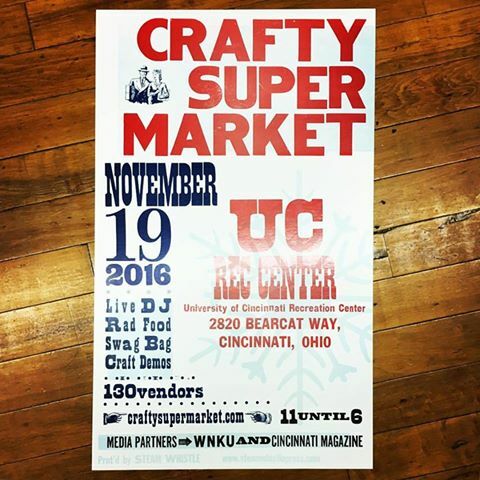 Now in a new location for 2016 as the usual venue Music Hall is under renovation, Crafty Supermarket will be at the University of Cincinnati Rec Center, 2820 Bearcat Way, Cincinnati, OH 45219 from 11 a.m. to 6 p.m. on Saturday, Nov. 19, 2016. This show features handmade goods only — no commercial products. 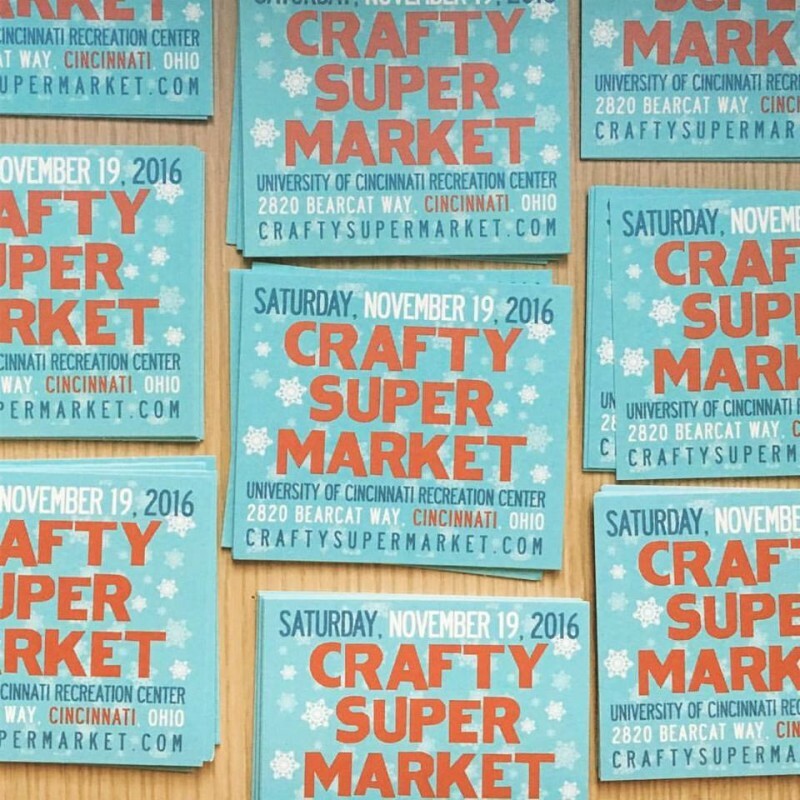 Crafty Supermarket is a fun, lively, family-friendly a FREE to attend holiday event with an anticipated 6,000 shoppers, a live DJ, hands-on craft activities, local food and free swag bags for the first 100 shoppers! We will have our Alphabet Prints, Rock Posters, Art Prints, Cardinal Seasons Prints, Greeting Cards and more available. So come on out and enjoy the day with us! When: Saturday November 19, 2016 from 11am – 6pm. One day only! FREE ADMISSION. 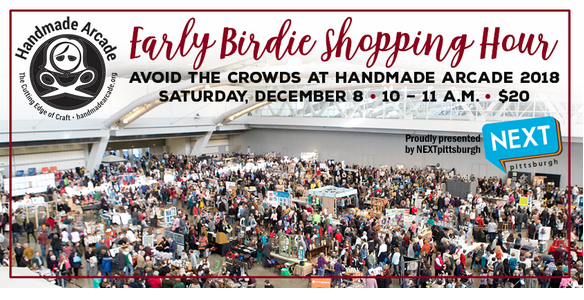 Who: 130 Makers, Artisand, and Crafters from all over the eastern U.S.
What: Handmade goods and gifts, plus delicious snacks, drinks, and a DJ, plus craft activities and swag bags for the first 100 shoppers. Why: Because Handmade with love is best. For more info CLICK HERE or check out Steam Whistle Press‘ awesome hand printed poster with details on the show. 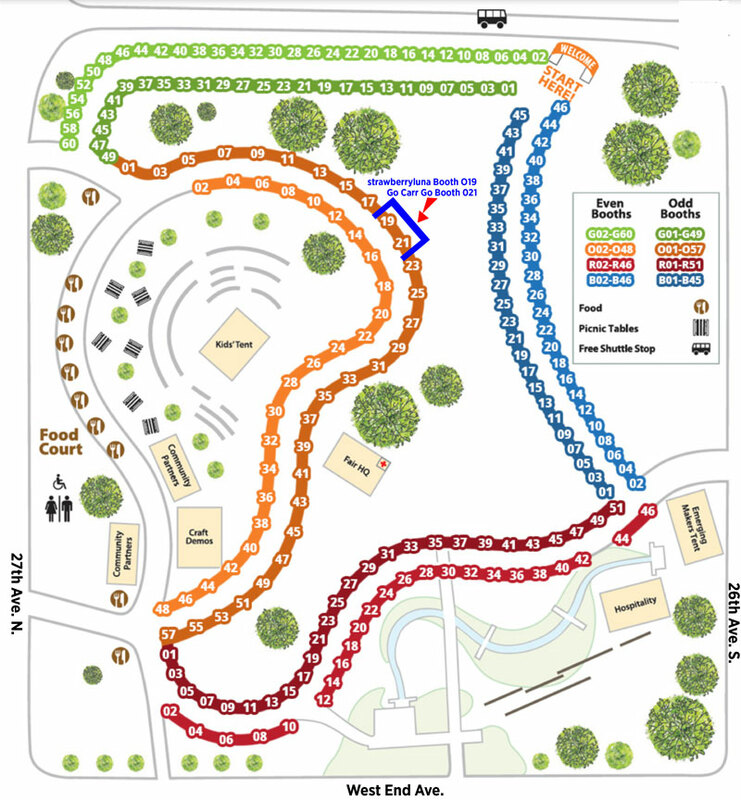 Join Us At A Fair In The Park! 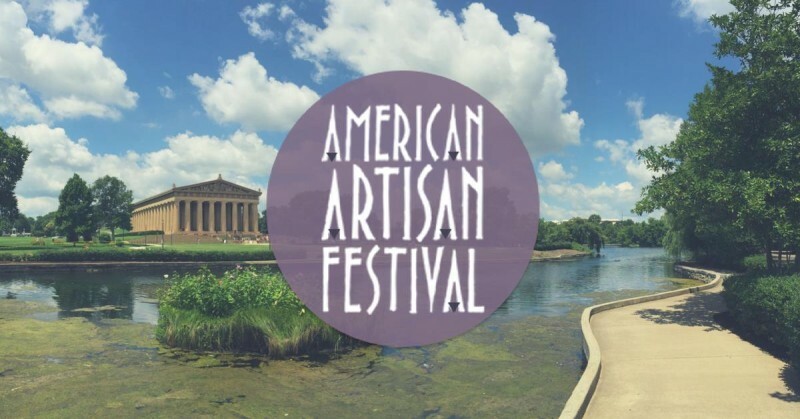 Fresh September air, hundreds of artists and beautiful Mellon Park, come out and enjoy it all this weekend! 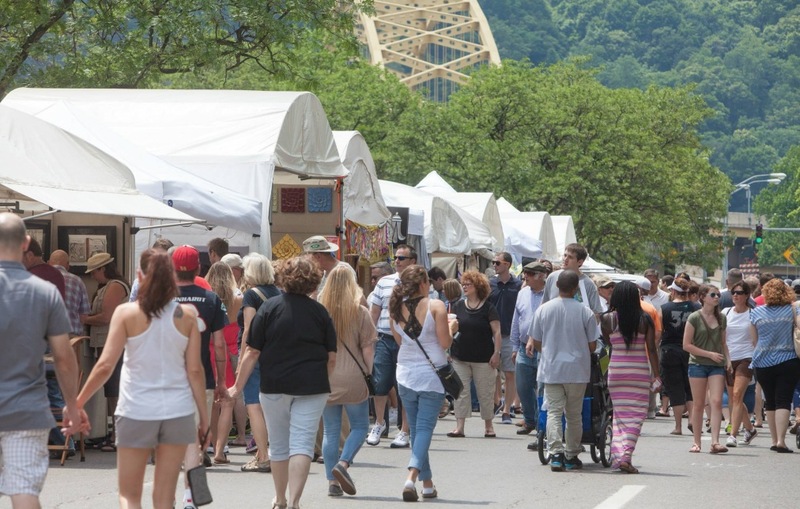 Now in its 47th year the historic A Fair in the Park in Pittsburgh time is here! 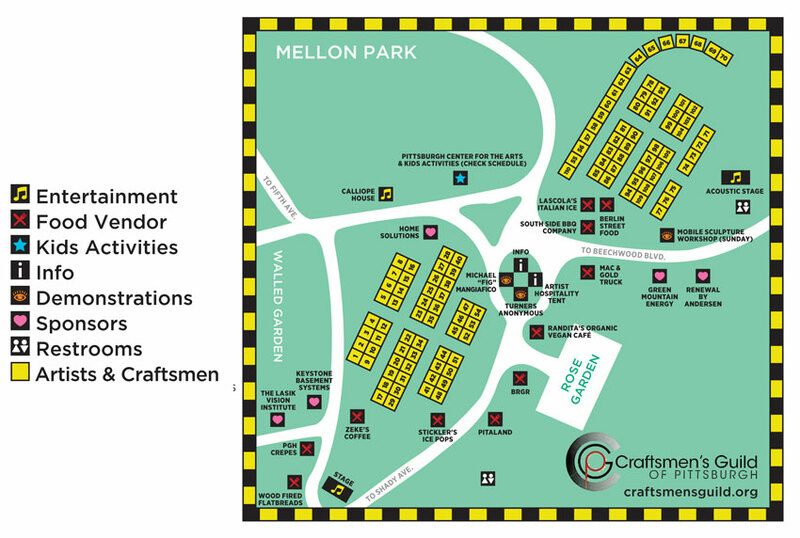 This show is artist-run and presented by the Craftsmens Guild of Pittsburgh. 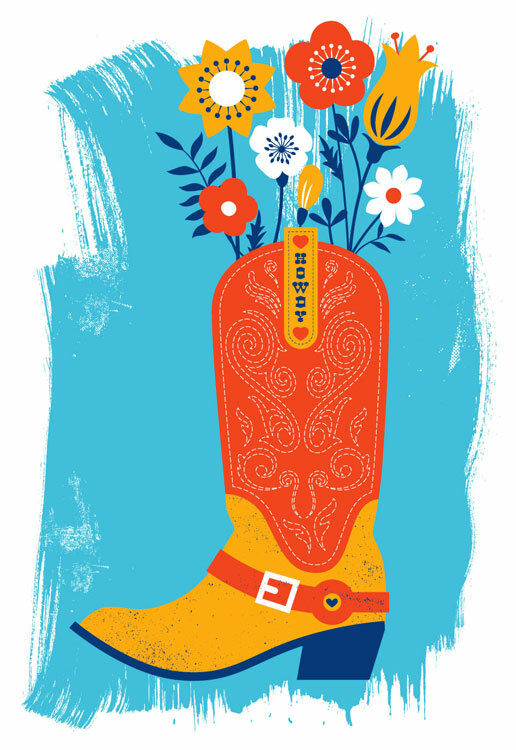 We will have our Alphabet Prints, Rock Posters, Art Prints, Cardinal Seasons Prints, Lunchbags and more on hand, as well as new pieces in booth 86 in the lower field, under the trees. So come on out and enjoy the weekend with us! A Fair in the Park is held in the lush surroundings of Pittsburgh’s Mellon Park. 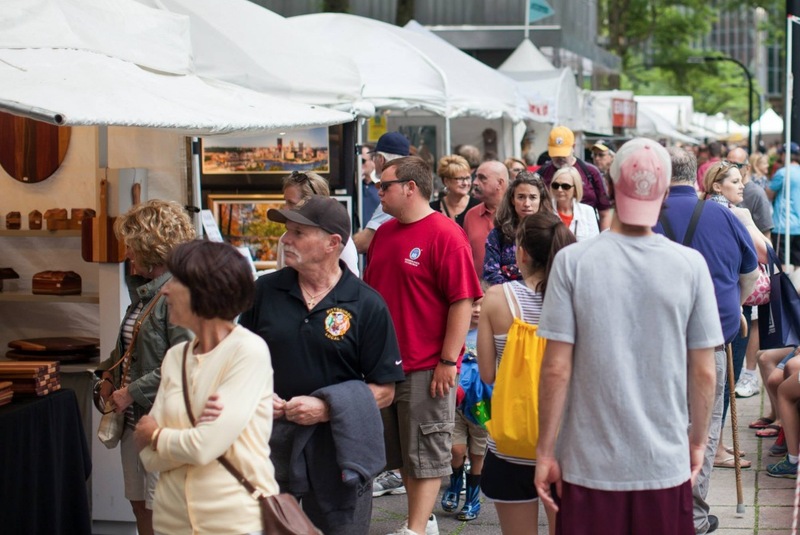 An estimated 20,000 dedicated visitors enjoy the opportunity to interact with over 100 regional and national artists working in a variety of mediums including clay, fiber, wood, jewelry, glass, metal, mixed media, and two-dimensional art. 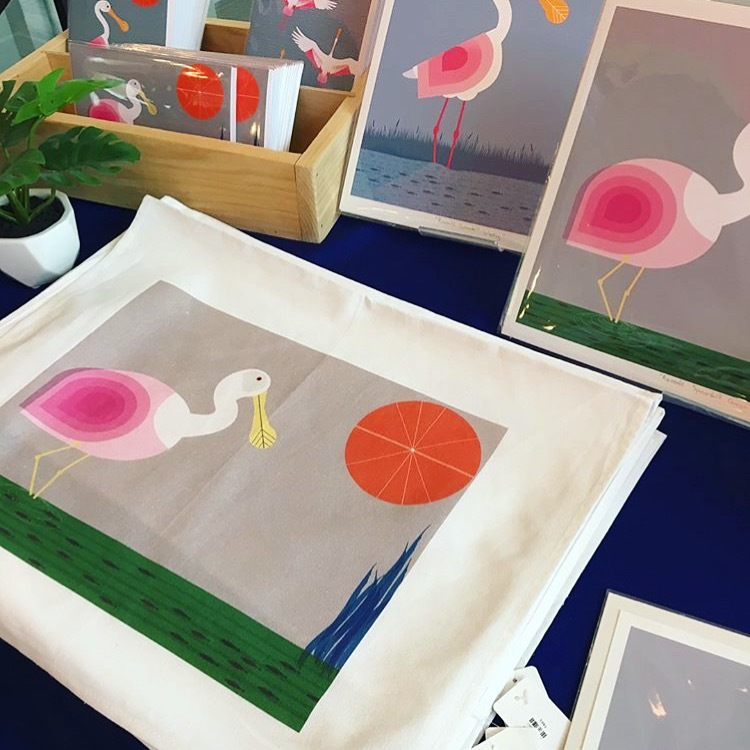 This annual contemporary fine art and fine craft festival is FREE to attend and family friendly. Once again there will be a wide variety of great local food optoins at this year’s Fair. A Fair in the Park is held rain or shine. Who: Over 100 regionally & nationally recognized artists and professional craftspeople will be showing and selling their works. 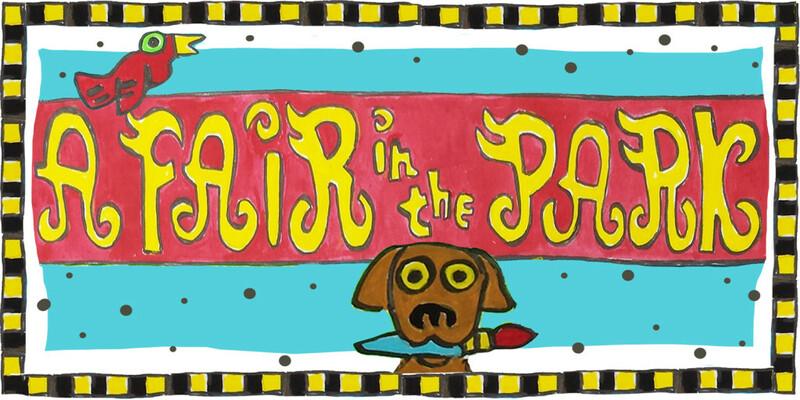 What: A Fair in the Park now in its 47th year, presented & organized by the Craftsmen’s Guild of Pittsburgh. Hello Columbus, Ohio! 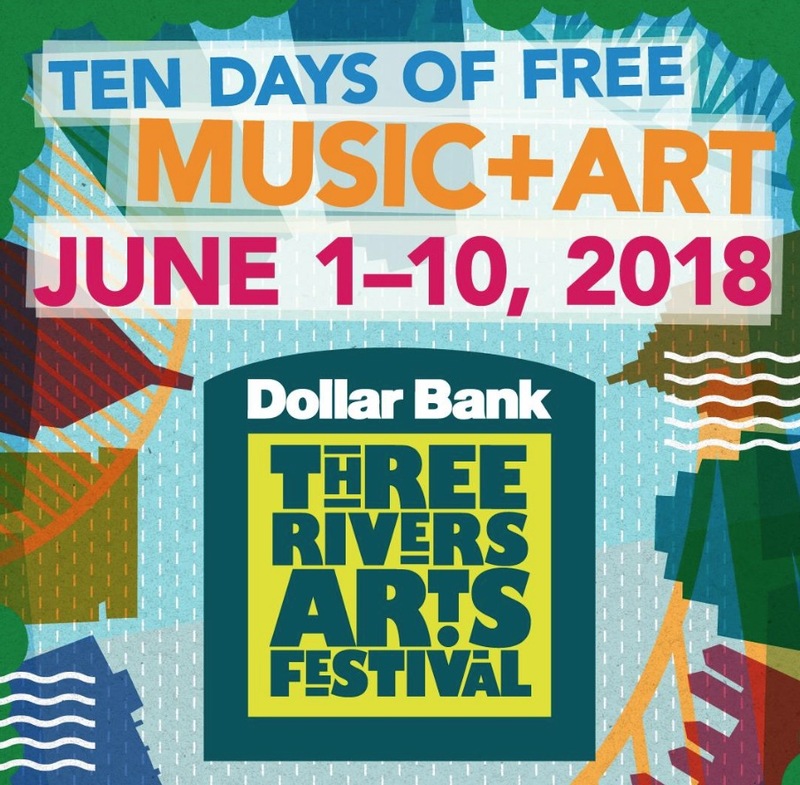 We are so excited for our first time participating in the Columbus Arts Festival this weekend, Friday June 10 through Sunday June 12. 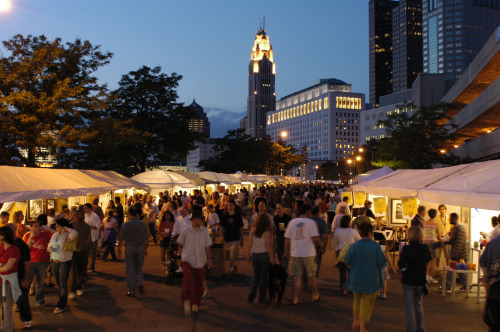 The 2016 Columbus Arts Festival will be held along Columbus’ beautiful downtown Riverfront, which will again be transformed into a stunning outdoor art gallery as the nation’s top artists display their work and attract art enthusiasts from all over the country. 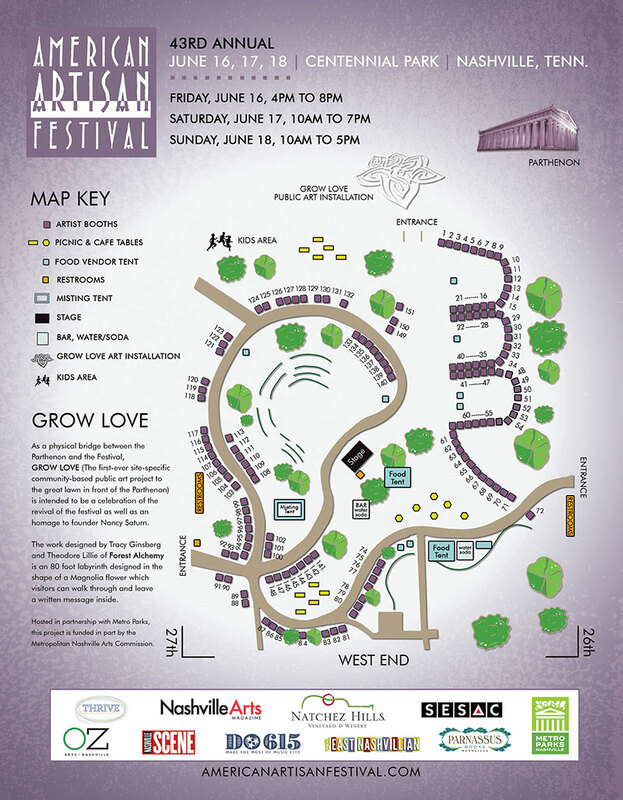 In addition to hosting more than 300 nationally acclaimed artists, the 2016 Festival will feature fantastic gourmet fare from some of the city’s finest restaurants, live concerts, dance and theatre performances, film screenings, hands-on art activities and more—there will truly be something for everyone! For more info CLICK HERE. 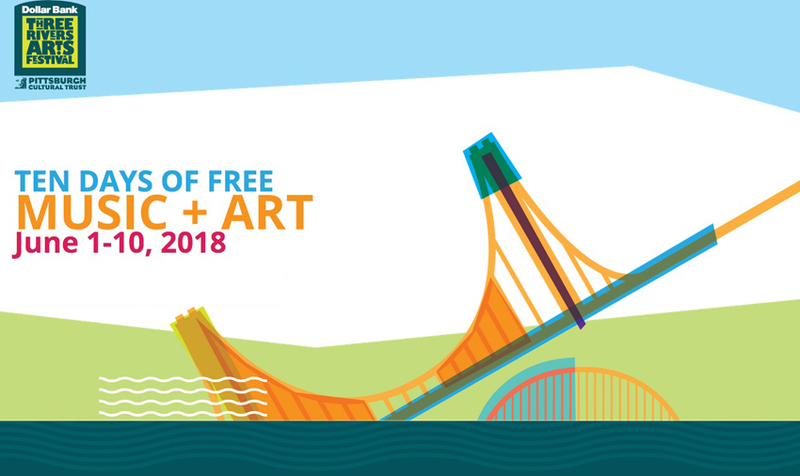 The Columbus Arts Festival is open to the public, family and pet friendly and FREE to attend! Who: Over 350 nationally selected artists are juried into this show from over 1100 applications each year. There will be fine arts fine hand crafts well represented. What: The Columbus Arts Festival silly! 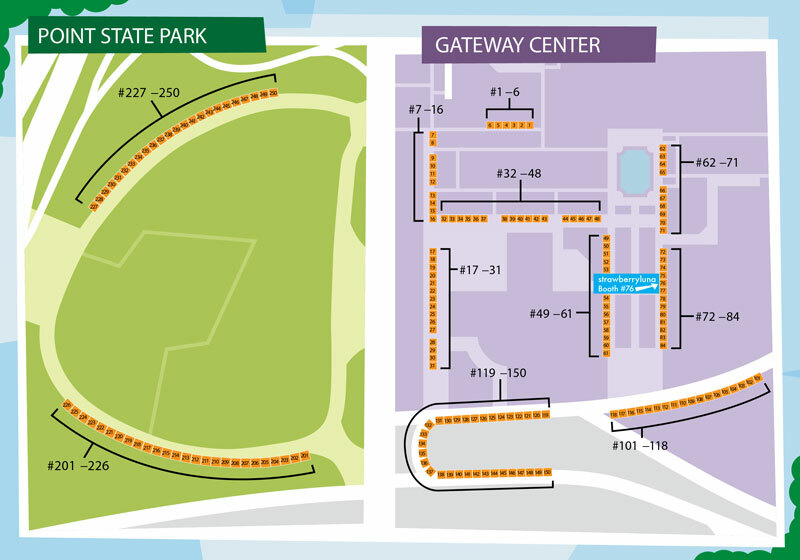 Where: The Festival will be located along the Scioto Mile, Columbus’ signature riverfront park – and in front of COSI, the Center of Science and Industry. 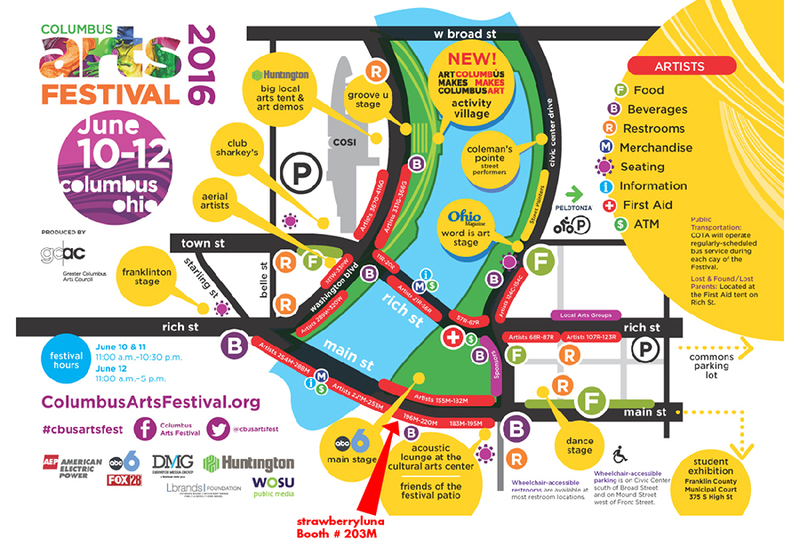 The 2016 Columbus Arts Festival will be June 10, 11 & 12. Why: Because Handmade and Artisan Craft is best! 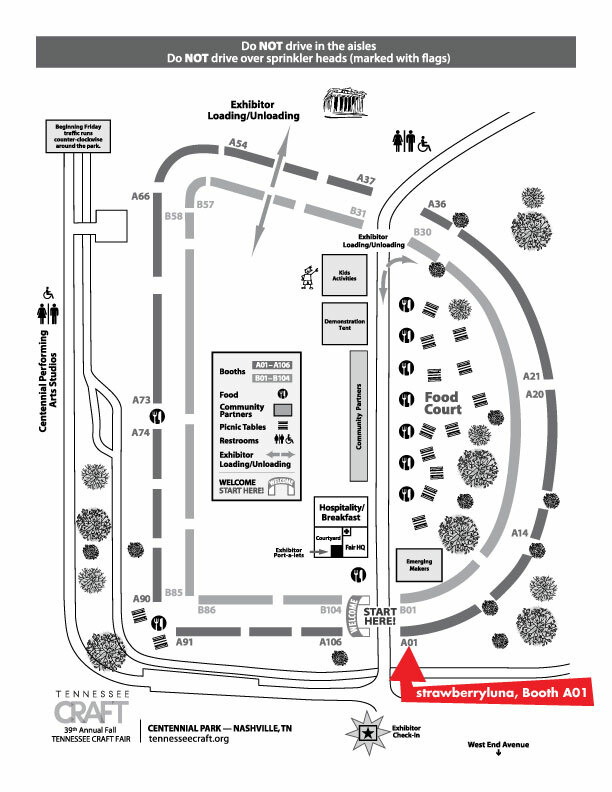 Below is a map of the Columbus Arts Festival grounds and we will be at Booth 203M. See you there Columbus!